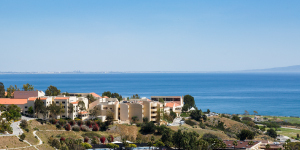 Pepperdine University participates in a variety of federal and state aid programs that are available to admitted Graziadio School students who are U.S. citizens, permanent residents, or other eligible non-citizens. To obtain financial aid funding and to retain financial aid eligibility, most government programs require students to be at least half time (half time enrollment for undergraduate students is 6 units; half time enrollment for graduate students is 3 units for full term enrollment or 2 units for enrollment which spans a seven week session). Academic progress is evaluated at the end of each trimester. Failure to meet any of the SAP requirements results in placement on financial aid warning status for the following trimester. Students who do not meet all SAP standards at the end of the financial aid warning period lose their eligibility to receive financial aid for the future trimesters. To regain financial aid eligibility, students must submit a written appeal to the Associate Director, Financial Aid Student Services. If the appeal is granted, students are placed on financial aid probation and have one trimester to satisfy the probation requirements. Financial aid is terminated for students who fail to satisfy the probation requirement. Students who wish to repeat a course or courses completed with a passing grade can use federal aid for only one repeat of each course. The repeated course(s) will be included in the calculation of attempted units. Undergraduate students may qualify for the Federal Pell Grant, the Federal Supplemental Educational Opportunity Grant (SEOG), the Federal Direct Stafford Loan (subsidized or unsubsidized), the Federal Perkins Loan, or the California Grant A and B (available only to California residents). Graduate students may qualify for the Federal Direct Unsubsidized Stafford and Federal Direct Graduate PLUS loans. Federal Direct Stafford loans are federally guaranteed, noncredit-based loans. Through a combination of Subsidized Stafford and Unsubsidized Stafford loans, BSM students may borrow up to $12,500 for each two-trimester period and graduate students up to $20,500 for each academic year. The Federal Direct Graduate PLUS loan is credit-based. This loan has no aggregate limit and is available to graduate students only. The annual amount of the Direct Graduate PLUS loan cannot exceed the difference between the annual cost of attendance and other financial aid. The total amount of all annual education-related aid cannot exceed the total cost of attendance. To apply for federal and state financial aid programs, students must complete a Free Application for Federal Student Aid (FAFSA) form. Applications are reviewed throughout the year. However, students should allow a few weeks for application processing during peak periods. All students considering student loans are required to complete online loan entrance counseling prior to receiving any loan funds. All financial aid funds are sent directly to Pepperdine University and are applied to student accounts upon verification of enrollment. Student loan funds are evenly distributed during the academic year and are received via Electronic Funds Transfer (EFT). Private credit-based education loans are available to students who are not eligible to receive federal loans or who want to supplement federal loans. Further details regarding all financial aid programs, student eligibility, the financial aid application process, cost of attendance, satisfactory academic progress requirements, and the appeal process are included in the Financial Aid Application Guide which is available online for graduate and undergraduate students. Financial aid from federal, state, and institutional resources should be considered as a supplement to personal resources and not as a primary means for paying educational expenses. Pepperdine University does not unlawfully discriminate on the basis of any status or condition protected by applicable federal or state law in administration of its financial aid. Associated Women for Pepperdine Scholarship-This scholarship is designated for active members of the Church of Christ attending the Graziadio School. The Associated Women for Pepperdine is a group of Church of Christ women that annually raises funds to support praiseworthy students meeting the established criteria. Thomas E. Burnett, Jr., Memorial Scholarship-This memorial scholarship was established in honor of Thomas E. Burnett, Jr., a 1995 graduate of the Graziadio School’s Presidents and Key Executives MBA degree program, who passed away on September 11, 2001, on United Flight 93. It is designated for Graziadio School students who have demonstrated leadership skills. Linda M. Gage AWP Endowed Scholarship-Established to honor the memory of Pepperdine Regent Linda M. Gage, this memorial scholarship is designated for active members of the Church of Christ who attend Pepperdine schools and who have demonstrated financial need. Reva Graziadio Endowed Scholarship-Established by Reva Graziadio, the funds are designated for incoming full-time Graziadio School MBA students who have proven themselves as leaders and are active community members. John Nicks Memorial Scholarship-Established to honor the memory of administrator and long-time Pepperdine professor John D. Nicks, Jr., funds are designated for Graziadio School students who show their past and future commitment to serving others and have demonstrated financial need. 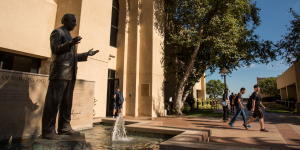 Raymond Q. and Elizabeth Rieley Armington Endowed Scholarship- This scholarship was established to honor and acknowledge Raymond and Elizabeth Armington’s support of Pepperdine University. The scholarship was designed to help Graziadio School undergraduate students with financial need. J. McDonald and Judy Williams Scholarship-Established by J. McDonald and Judy Williams, the funds are designated for active members of the Church of Christ attending the Graziadio School. Please contact the Financial Aid Office for questions regarding these or any other scholarships that might be available. Scholarship recipients must meet the conditions outlined in their award letter to maintain eligibility for the scholarship award. The scholarship award will be rescinded if the student does not meet the prescribed conditions of GPA and enrollment per trimester as stated in the award notification. Pursuant to state law, a student’s state financial aid may be suspended if a student is found to have engaged in certain acts of wrongdoing as defined in Sections 69810-12 of the California Education Code. Such wrongdoing includes being arrested and convicted of a public offense arising from disruptive acts on Pepperdine campuses or University-controlled property, willfully and knowingly disrupting the orderly operation of any of the campuses even if not arrested and convicted, and being suspended for disrupting the orderly operation of such campuses.